In the refrigeration process, this ammonia Plate Heat Exchanger is used to chill water. The customer had a flow problem that lead to a freezing problem. The water flow was accidentally slowed to nearly a complete stop. The ammonia quickly froze the water inside the heat exchanger which resulted in Heat Exchanger Plate failure rather than gasket failure. A failure through the plate will allow cross contamination. The bubbling is evidence of plate failure as revealed by conducting a Bubble Test with air being forced through one side of the HX while the other side is flooded with water. Multiple pinholes were discovered in 6 out of 60 plates. The 6 bad plates were removed before performing another test at 125 psi which revealed 4 more bad plates. We had replacement heat exchanger plates and heat exchanger gaskets in stock which enabled us to assist the customer in taking their production back on-line the next day. The MechPro Inc. Heat Exchanger incident response team is on call 24/7 to assist with getting your operation back on-line as quickly as possible. 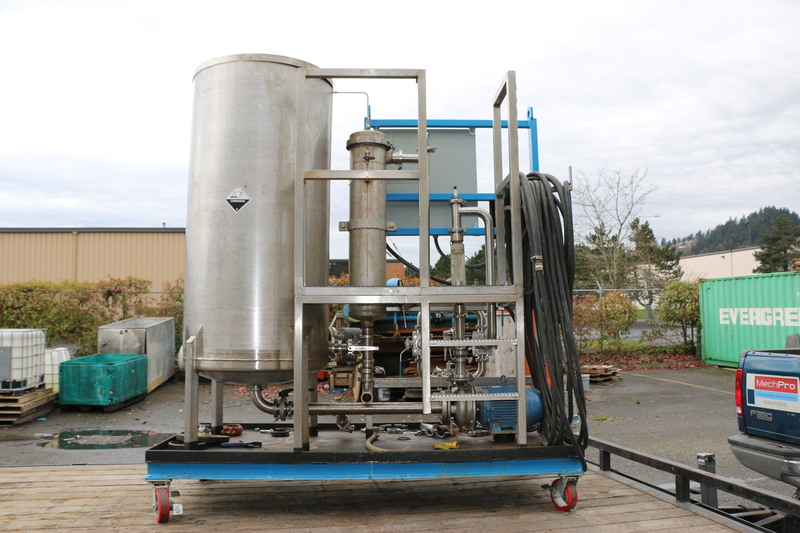 MechPro’s CIP process ensures that process reactors, vessels and lines are free of organic and inorganic contaminants. 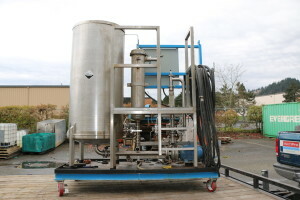 The main benefits of CIP include lower facility operating costs, minimal dismantling of equipment and piping, reduced turn-around time for cleaning and eliminated exposure to hazardous materials or activities such as entry into tanks.